See below for a map of hotels in San Carlos Mexico. 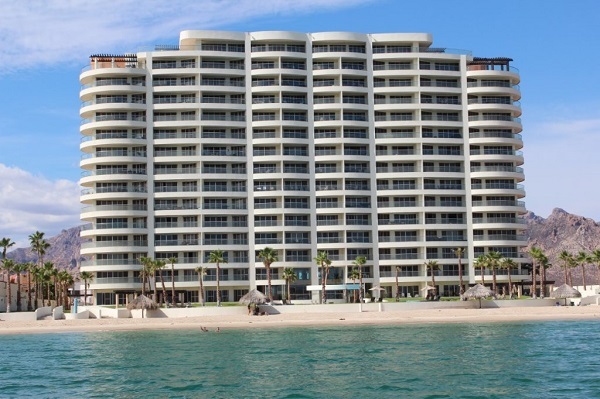 Playa Blanca is a luxurious beachfront Condominium Resort. Playa Blanca is located on beautiful Algondones beach. Voted #1 on Tripadviser. There is a sea-side pool with a heated spa, outdoor grill areas and spacious covered terraces. 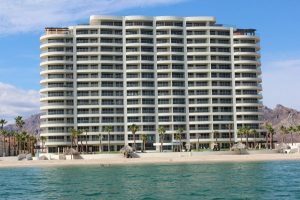 There is also a tennis and pickleball court, and a fitness center that overlooks the Sea of Cortez. Plus, 24-hour gated security. Monthly promotions posted on our website. Marinaterra Hotel & Spa is located in the heart of San Carlos, adjacent to Mexico’s largest natural marina and in front of Tetakawi hill. Both the marina and Tetakawi hill gives us majestic views and stunning sunsets.